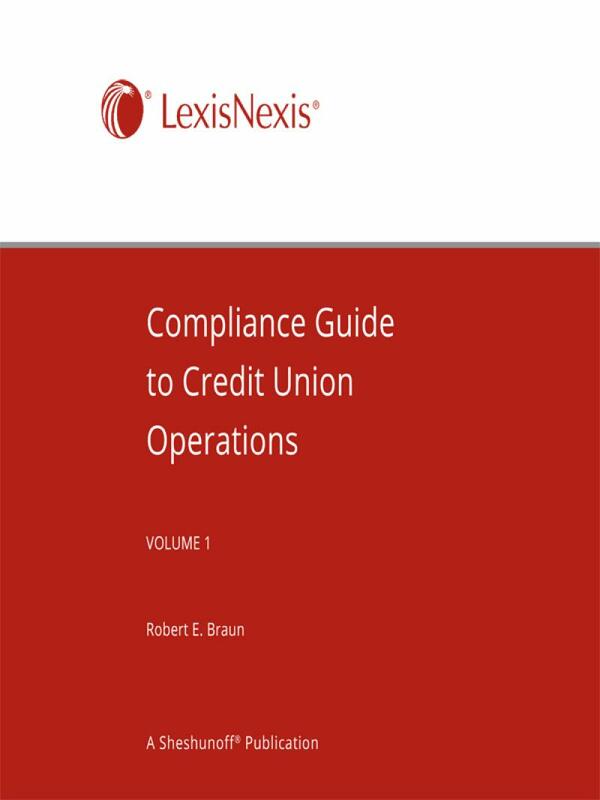 This unique compliance manual for the credit union operations area, written by Robert E. Braun, gives you a practical, product-oriented approach to the rules you have to follow, in an easy-to-use format; includes quick reference charts, checklists, and examples make it easy to find exactly what you need and train your staff. Running a credit union's operations is getting more complex all the time. As your credit union membership grows and changes, you may offer more products and services. You may try new channels for serving your members, such as remote locations or mobile banking. And you have to make sure every product and service you offer stays in compliance with the ever-changing laws and regulations, such as Reg E, Truth in Savings, fair lending, and the Bank Secrecy Act. With so many different laws and regs affecting each product, making sure you've covered all the bases can be a daunting task. 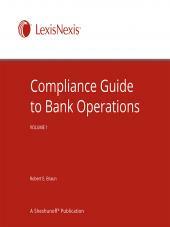 But we've made it easier with the Compliance Guide to Credit Union Operations. Best of all, no particular compliance experience or background is necessary. Any compliance question coming from the operations side is answered clearly, without legalese, and without anyone having to search through multiple laws and regulations to find everything you need. This unique compliance manual for the credit union operations area gives you a practical, product-oriented approach to the rules you have to follow, in an easy-to-use format. And lots of quick reference charts, checklists, and examples make it easy to find exactly what you need and train your staff. 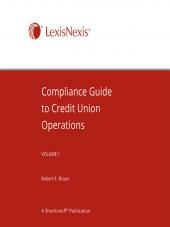 Compliance Guide to Credit Union Operations covers the rules that affect you from an operations point of view. So instead of wasting your time dissecting a regulation to find the connection to your area, or trying to apply a manual written for banks, we've taken the regulated products and services you may want to deliver and presented their compliance requirements from a credit union operations standpoint. 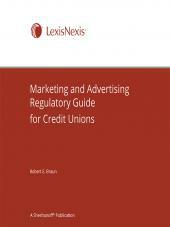 So for each product your credit union offers, you've got the practical compliance "whats" and "how" all in one place. Subscribers will receive a downloadable file containing editable forms.